Associated Haulage provides a full import service, from handling customs clearance and calculating import duties, through to distribution and delivery. For exporters we can offer competitive freight rates to all parts of the world, from collection at your premises to packing and delivery to your destination. Our experienced staff have a comprehensive understanding of the issues involved and we will be happy to advise you on the best ways to manage your goods. 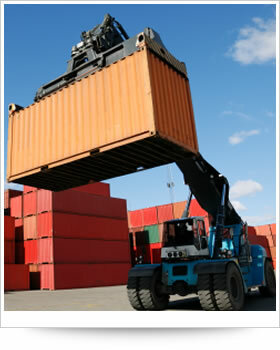 Calculation of Freight Costs, Import Duties and VAT. Delivery and distribution from the port to the destination. Delivery to the port in the exporting country. Warehousing in a Registered Inland Clearance Depot.